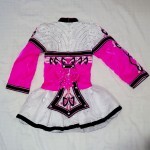 Dress is less than a year old and is in excellent condition (no stains or snags). The vibrant pink gives this dress a great “pop” on stage. 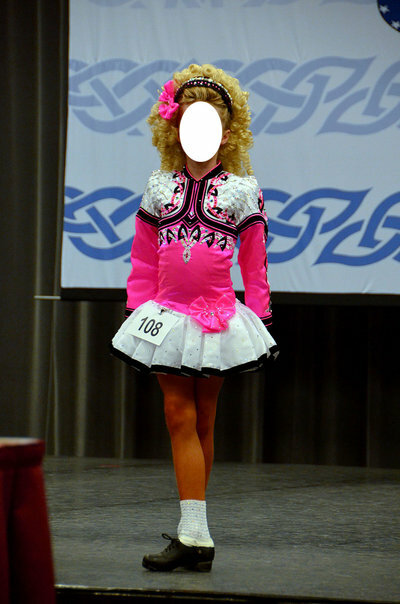 Includes pink kick pants and pink hair bow. 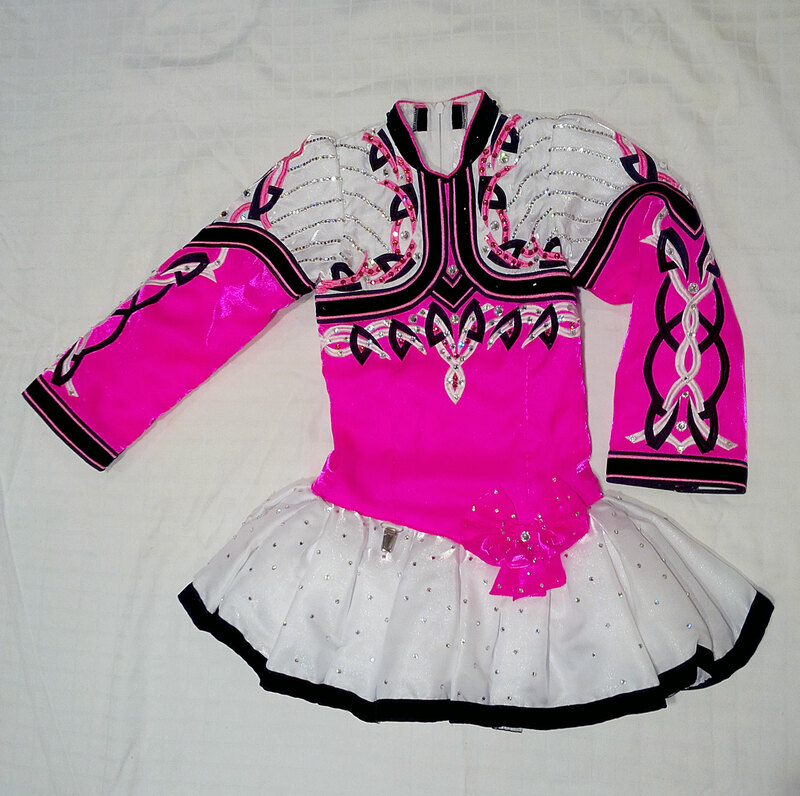 Worn at the 2014 Nationals. Loaded with clear crystals throughout the skirt and along the bodice. Piping front and back, with black and pink crystals in the embroidery. I will be happy to send more photos and information if requested.